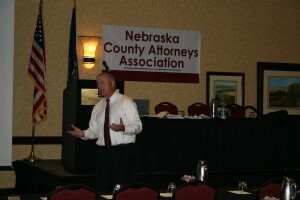 Nebraska County Attorneys Association - Providing its members with quality training and education. 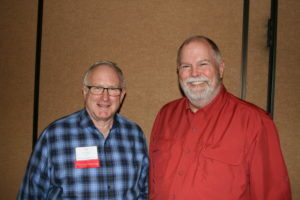 The Nebraska County Attorneys Association advocates for public policies that strengthen county attorneys’ ability to secure justice for crime victims and serve as legal counsel to their county. We provide continuing legal education programs, service, support and resources to the county attorneys and staff to enhance and improve the quality of all prosecution throughout the State and facilitate access to best practices in law enforcement and public safety. 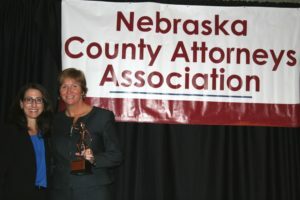 Melanie Young, Chief Deputy in Buffalo County and President of the Nebraska County Attorneys Association congratulates outgoing President, Brenda Beadle, Chief Douglas County Attorney. Our Association is dedicated to helping Nebraska’s County Attorney’s provide the best possible public service in their dual role of Prosecutor and Civil Attorney for each of Nebraska’s 93 Counties. 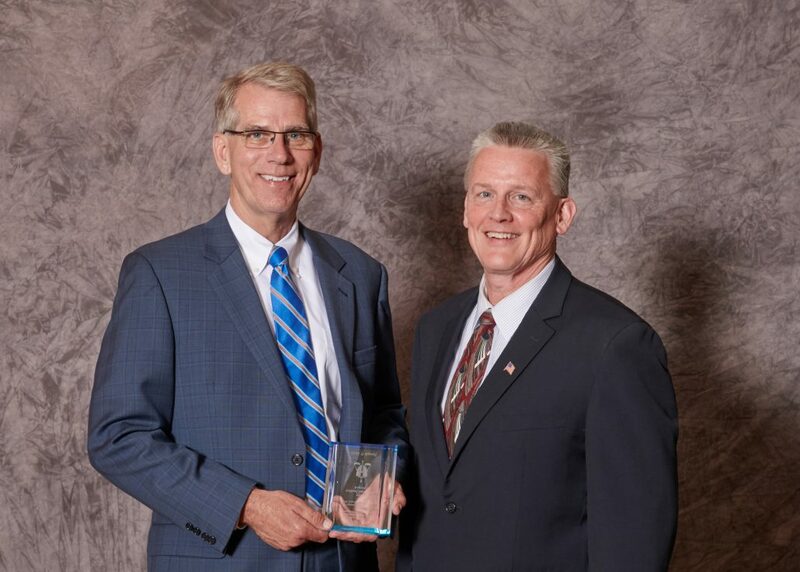 Congratulations to Joe Kelly, U.S. Attorney for Nebraska, as the 2017 recipient of the Nebraska County Attorneys Association Prosecutor of the Year. This year’s award was presented by Pat Condon, Lancaster County Attorney. Membership in the Association is open to County Attorneys and their deputies.